Are you a photographer who has an amazing portfolio but still struggles to land the jobs you want? Maybe you've been a professional photographer for years but you still haven't connected with advertising agencies or international brands. Perhaps you feel like your photography business has plateaued and you're not sure how to expand. 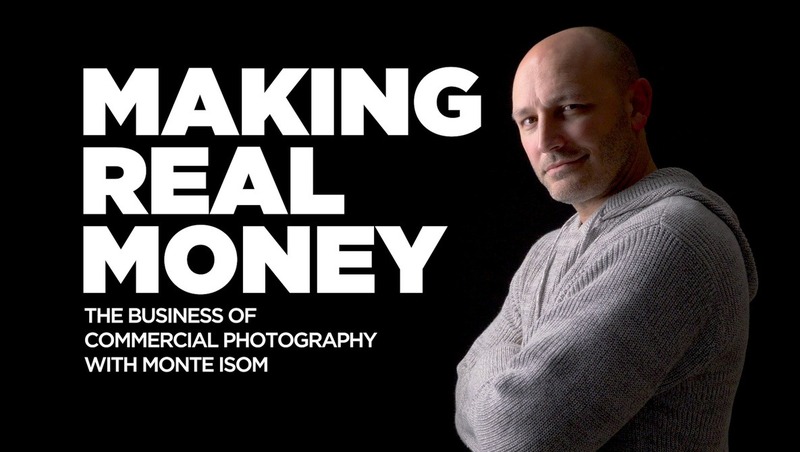 In Monte Isom's new tutorial, Making Real Money: The Business of Commercial Photography, you will get an inside look at what it takes to land work from advertising agencies, the world's largest magazines, and international campaigns. 7 Episodes of "Story Time with Monte"
Are you a photographer who has an amazing portfolio but still struggles to land the jobs you want? Maybe you've been a professional photographer for years but you still haven't connected with advertising agencies or international brands. Perhaps you feel like your photography business has plateaued and you're not sure how to expand. 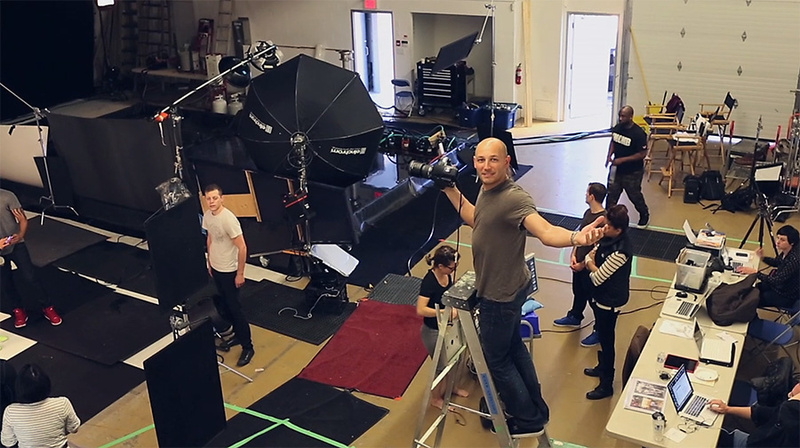 In Monte Isom's new tutorial, Making Real Money: The Business of Commercial Photography, you will get an inside look at what it takes to land work from advertising agencies, the world's largest magazines, and international campaigns. This tutorial is an inside look at the highest level of photography. All of your questions about the industry will be answered. Monte Isom is a commercial and advertising photographer based in New York City. Over the course of his career, he has photographed everything from Hollywood movie posters to massive global advertising campaigns for many of the worlds most prominent brands. Monte's client list includes Adidas, Nike, Gatorade, Visa, Allstate, New Balance, BodyArmor, Marvel, Spike TV, National Geographic, and dozens of other high profile brands and networks. Before Monte started photographing for himself, he assisted many of the most successful photographers including Sandro Miller, Gregory Heisler, Albert Watson, Peter Lindbergh, Timothy White, and Martin Schoeller to name a few. For years, we have wanted to film the ultimate tutorial on the business of commercial photography but we needed to find the right instructor. We wanted to team up with someone who was not only a well-accomplished photographer but someone who understood the industry's best-kept secrets. Monte Isom is a true master at marketing and he has a complete understanding of how the industry works from all sides. For the past 20 years, Monte has built connections in every area of the advertising world and he has used his knowledge and these contacts to land big budget jobs year after year. For the first time in his career, Monte is finally sharing everything he has learned that has taken him from being a photography assistant to one of the most sought-after photographers in the world. Although Monte has an incredible amount of knowledge about the advertising industry, it was important to also include information from other industry professionals. Throughout this 15 hours tutorial, you will hear not just inside information from Monte, but also nine other creative professionals who work in different areas of the industry. Many of these interviews are with the art buyers or the "gatekeepers" of the advertising world. These are the people you will have to win over to land the big clients and high paying jobs. Each of these interviews is a priceless look into a unique facet of the industry. The creative professionals Monte interviews in this tutorial don't just work in the industry, many of them have reached the top of their field and have decades of experience working with many of the highest paying clients and most expensive photographers in the world. Collectively these interviews should give you a great understanding of how each aspect of the industry works and what types of photography budgets each industry has for a campaign. Jim Surber - Deputy Photo Editor at ESPN Magazine - Jim provides some of the most valuable information on shooting editorial work. As a long time sports photo editor, Jim talks about how the fee structure works with editorial publications as well as some of the best ways to get your foot in the door. This interview is a great resource for those looking to get into commercial and advertising photography but have not yet explored the advantages shooting editorial work provides to their overall portfolio and branding. Adrien Bindi - Creative Strategist at Facebook - Adrien is essentially a creative director who works for Facebook's Creative Shop. As more and more companies target social media outlets, Facebook has become a sort of hybrid advertising agency that facilitates the advertising ideas from a brand and the execution from a photographer. Adrien discusses in detail how he helps find photographers for his clients as well as some tips you can have in not only bidding on a job but ultimately winning that bid. Nicole Dieterichs - Executive Vice President at Cold Open - Nicole is one of the highest officers at Cold Open, a massive movie poster house based out in Los Angeles. While she manages the account directors below her, Nicole is ultimately responsible for presenting every final movie poster composite that comes out of her agency to the movie studios and networks. In this interview Nicole breaks down some of the budgets and day rates photographers commonly charge in the entertainment world and explains what skills are needed to work on big budget movie posters. Sarah Manna - SVP, Director of Art and Print Production at Deutsch - Deutsch is a big league traditional advertising agency based out of New York. In this interview, Sarah breaks down the most effective steps a photographer can take to get their work noticed by an art buyer at an ad agency. She also breaks down everything that goes into invoicing, creating budgets and estimates, understanding purchase orders, and creating licenses that fit a particular advertising campaign. Peter Stark - Partner and Creative Director at Bond - Peter is the lead creative director at one of the hottest media producers in Hollywood. Peter's job is to oversee all print and digital work for television, film, and digital media. In this interview, Peter focuses on presenting your work, creating images that stand out, beefing up the production on your own shoots, and even breaks down the retouching of several movie poster composites his studio designed. Andrea Johnson - Photo Producer at Lion's Gate - In the world of advertising and commercial photography, there are several different types of producers you will have to collaborate with. Andrea is a photo producer for a movie studio which means she is the liaison between Lion's Gate film sets and any photographer hired to produce images and assets for the production. She understands photography budgets and production better than anyone else in this tutorial, and Andrea gives a great perspective on what it is like hiring and working with a photographer from the initial pre-light all the way to the final produced campaign. Perry Fair - Vice President of Brand Creative at Beats by Dre - In today's market, more and more brands are bypassing traditional advertising agencies and hiring photographers directly themselves. This means that instead of relying on an ad agency to help facilitate communication between brand and execution, "direct to brand" campaigns are brainstormed and produced directly with the brand itself. Working directly with brands is common in large markets but is even more important to understand in small markets where companies depend less on advertising agencies and instead hire photographers directly. Perry Fair is an unbelievably talented brand creative for one of the hottest electronics companies in the world, Beats by Dre, and he breaks down exactly what it is he is looking for when hiring photographers to shoot direct to brand campaigns. Throughout this tutorial we interviewed creatives working for some of the largest and most successful companies in the industry, but it was also important to hear the perspectives of other players in much smaller markets. So while much of this content focuses on the markets of Los Angeles and New York City, we also include interviews from Charleston, South Carolina to help those photographers trying to climb to the top of their own small emerging market. David Wood - Partner and Creative Director at Blue Ion - This tutorial focuses a lot on the business practices of commercial photography at the highest level of the industry. However, we thought it would be important to also shed light on the business practices commonly found in much smaller or emerging markets. David is responsible for hiring photographers and producing commercial campaigns for smaller brands out of Charleston, South Carolina. The perspective David brings to the table will help you learn how to leverage your own market and apply the information found in larger markets to the work you may produce in smaller, satellite markets. Brennan Wesley - Lifestyle and Medical Photographer - Throughout this entire tutorial, we interview many different people who work and hire photographers in the commercial world. While comparing large and small markets, we thought it would be interesting to hear from a local photographer in a smaller market to see what avenues they have taken to find success. 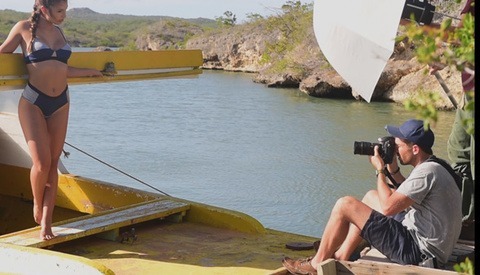 Brennan Wesley works both in the editorial and commercial world, and hearing from his perspective sheds light onto some of the challenges photographers might face when trying to make a living in an emerging market. So no matter if you are based in Atlanta, GA or Breckenridge, CO, you will be able to find success in any sized market. This tutorial is a major departure from other Fstoppers tutorials in that it is built around a lecture style format. We wanted to focus 100% on the business of commercial and editorial photography, but that doesn't mean we can't have a bit of fun as well. Sprinkled throughout this tutorial is a hilarious series we created called Story Time With Monte. Set in an Irish pub inspired living room, Story Time is where Monte rehashes some of his most memorable stories about breaking into commercial photography, assisting some of the industry's most acclaimed photographers, and learning life lessons on making photography a successful career. These candid bar room narratives are filled with outrageous photography story after outrageous story only capable of being told by Mr. Isom himself. This tutorial is exactly what I was looking for over the last months. I hope this is also applicable for the market in Germany. Woher bist Du in DE? Add mich gern auf Facebook. LG, Chris. I posed the same question when I watched the trailer. I received an answer, apparently the only place in Europe on the list was Amsterdam the rest was Asia. I think Fstoppers would find the German market far more demanding than the USA. So, what's the current perspective on the applicability of this tutorial in the German market? I am located in the greater Munich area also. Can I assume then that you purchased this set? If so, how has it benefited you? I feel I was burned on the headshots package and I am leery of buying another package here. Which headshot video did you purchase and what did you not like about it? Monte's tutorial is very heavy in business and marketing practices. IMO it's the most powerful and useful tutorial we've ever created but you also need to be a hustler who really wants to work hard to move up to those $5k-$10k day rate jobs. The Dylan Patrick (I think that's the name) package. Everything I saw in the videos was already on Youtube and other websites by other people. I bought it thinking there was some secret left out of those other videos, some ah-ha moment, but there wasn't. Don't take it the wrong way, I love a lot of the articles and info here, but you make money on the purchase of this and I don't feel I can trust your opinion. Even if you say you wouldn't have put it out if you didn't believe in it. That's why I'd like to know from someone that bought it. Did they think it was worth the investment after they went through everything? Did it provide any real insight into helping them increase sales? Did it actually help them? This is definitely my weak side. However, I doubt that it can be applied to the Swiss market. The stuff that is going on here is mind-blowing! What's going on in switzerland? You guys home some of the richest people in the world with some of the biggest brands in the world. I bet you are in a prime location for this! 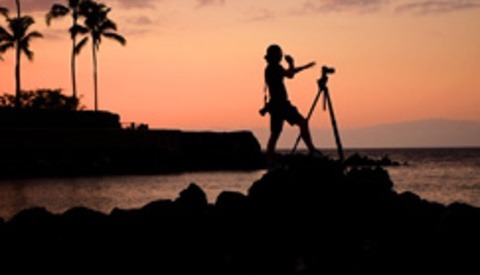 One big publishing house is changing its terms for freelance photographers. They basically want freelance photographers to hand them over all rights to their work – at no extra charge. Some photographers signed that contract, some didn't. I fear that other companies will follow with similar terms, claiming that it is an industry standard. Times are changing and the question is how to make the same money usage fees would make without invoke usage limits. Look at it from the buyer's point of view. They use your photo as the usage terms stipulate but that photo is used by a third party. Your client doesn't want to manage controlling the usage of third parties - be it illegally used or "accidently" used. I see both sides of the usage argument, but I think the trend is no usage terms and that is hard to fight. Perhaps it is better to figure out a way to make our money without usage fees. Just attended a seminar with Lou Lesko of BlinkBid and he was saying how the trend is away from usage terms and more towards straight out fee to shoot and provide photos. You can still restrict the buyer from providing the photos to anyone else to use. The Swiss, my neighbours don't part with their money easily. Roman, it is not just in Switzerland that magazines/publishing houses are trying to make a rights grab. It happens in the US also. Fstoppers has covered it regarding Vice media ( https://fstoppers.com/legal/vice-contract-requires-all-rights-photograph... ) and Time Inc fail of a contract is well publicized. Magazines are failing. They are trying to figure out how to compete in a digital world with information sources that have low overhead. Trying to make rights grabs on photographers is dirty. It's asking people to give up their ownership of copyright or to have usage forever for images they have created. Do you think anyone asks Kanye to give up ownership of his song or gets usage in perpetuity if they feature it in Rolling Stone mag/website? Signing a contract that grants a magazine rights to your work is short sighted. Photographers do have power in resistance if many hold to it and push back. The alternative is to work for their competitors and seek out more work beyond that publishing house. When I found people hiring photographers dwindled after Sept 11, 2001 in the US I looked to other markets (amsterdam, England, etc) for people to hire me. We live in a global economy and you cannot only look to your local sources of $$$ for photography. Literally there a millions of people looking to pay money of photography. Some pay more than others. I sold an image to a Swiss company last year for $15,000 USD. EA Sports who is based in Geneva, Switzerland pays usage for images made. The money is there if you have the hustle to look for it. Hi Monte. I am sure the information in here is genuine and valuable. However what I fear is it's applicability. I've attended many seminars from very successful commercial and editorial photographers, and they inform a lot about how things work at the top level- but not about getting started, penetrating these networks, starting from scratch with ZERO contacts. 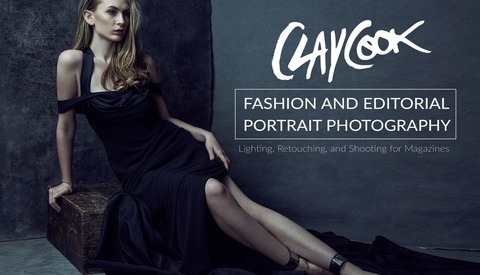 Do you cover smaller-scale, entry-level shoots and this type of business-building in this tutorial? Hey Frank, it was very important for us to cover all aspects of commercial photography for both established and aspiring photographers. We also wanted to include a bunch of different markets. Monte spends a lot of time in the market section on exactly how to get your work in front of the right people regardless of where you are in your career. He explains some simple steps as well as some short cuts that might not seem obvious. Of course none of this work is easy and a common theme in this tutorial is hustle, hustle, hustle...and spend money on your marketing, but I have no doubt that if you take what Monte says to heart, you too can learn how to get larger clients no matter where you are in your career. Hi Patrick, I have no doubt that there is good information in here- I'm going to take your answer as a 'yes,' and check it out. $300 is a drop in the bucket as far as business expenses go- I just hope you didn't craft your response to make one $300 sale and that I will not be disappointed! Hi Frank, This tutorial is not just about what I do or what I've done. I show examples of big and small budgets. It's good to know what is out there but this tutorial is about concepts to apply to many markets. I started this career knowing absolutely nobody. This is about where to find who is doing the work you want, how to approach them and get their attention. Then the follow through from start to finish of jobs. 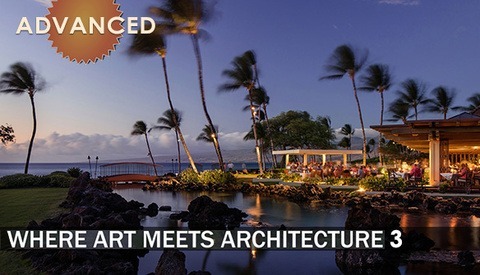 I think you will be pleasantly surprised and how much in depth this is than any seminar or workshop. I hope some of the people who have purchased this tutorial would chime in, but not everyone reads the comments of others. I want to see the invoice fstoppers got from Monte once filming was done, including his trade secret disclosure fees, perpetual, worldwide distribution rights, and royalties due. I was paid in whiskey....good whiskey. This tutorial brought to you by Michters American Unblended whiskey and High West Rendezvous Rye....I like vanilla, caramel and loveliness over peatiness. Honestly I am very curious about this too. I do think that education is a key component and excellent revenue stream for many successful photographers, including Lindsay Adler & Sue Bryce for example. Lara Jade also has quite a bit of educational revenue, in spite of her rather simple images (in comparison to Adler for example). I'm not sure we will disclose any of those financials but I will say there are definitely photographers out there making all or most of their income from education and running workshops. Knowing what I know, and seeing Monte's invoices for his commercial and advertising jobs, I can say with 100% confidence that most of his income by a large percentage is coming from clients paying for his actual photography. Having produced a bunch of tutorials at this point, it also kind of depresses me to know that this tutorial probably won't even do as well as others financially but the content in this tutorial is easily the most valuable info we have ever shared. I've been on record also saying that Joey Wright's tutorial is also one of the best educational tutorials we have ever made too but probably because of its subject matter (swimwear) it isn't as popular as some of the others we have produced. One thing I have noticed with talented photographers who begin educating is that their bottom line also increases with a lot of commissioned work, copyright infringements, licensing deals, fine art print sales, and other avenues that aren't often as highlighted in their own careers. It is all very interesting to see how easily money flows once you get the ball rolling. That being said, I still think the most successful photographers in the world are names most people aren't familiar with and aren't even on the radar for photographers or as educators....the REAL MONEY out there is very REAL! how does the info on this video applys to the European market? I wouldn’t necessarily think about this tutorial helping you land small jobs in your city. It not really about that even in the US. This tutorial will help you understand how to land a client like Nike or adidas anywhere in the world. But obviously your business needs to be at an extremely high level for it to be relevant. Ah! ...."business needs to be at an extremely high level for it to be relevant". - From your comment, I take it that if ones present business is not high level then this tutorial is not suitable for the poor amongst us. Rui, may people are asking if this tutorial applies to their market and specifically in Europe. I show examples from jobs bid in Amsterdam, Shanghai, Brazil and USA specifically to show that the same principles apply internationally....not just the US. Now if a European photographer wishes to shoot for global brands they should focus on Amsterdam as it has a truly international mix of people living and working there....so brands tend to use ad agencies there to get the temperature of all of Europe as opposed to a singular local view. As for the editorial market in Europe I cannot give a ton of relevant information as i've only sold images as stock to euro based mags. Much of what I cover in the video are concepts and principals that I back up with real life experience. I did this specifically to not exclude anyone. I hope this helps you decide of if this tutorial can help you as a European photographer. Guys, this tutorial is WORTH a lot more than you can imagine. I was in Bahamas, saw Monte's presentation to the general audience, had a good time talking to him during dinner, and bought this tutorial in a flash when I saw the email sure that it would be GREAT, but as it turns, IT IS A LOT BETTER THAN I THOUGHT it would be. IT ANSWERS CLEARLY ALL THE QUESTIONS THAT other PHOTOGRAPHERS simply NEVER ANSWER COMPLETELY. People usually answer those questions like hey, to make a cake is easy, all you need are eggs, flour and milk, you mix and bake it, like really? No way, how many of each, in which sequence, where's the receipt? NO ONE WILL EVER ANSWER YOU WITH THIS AMOUNT OF DETAILS AND COPIES OF THE REAL DOCUMENTS, interviews with the real deal people. Damn... I've been watching one video after the other like when I first watched the first season of 24 all in one weekend... Couldn't stop... same here. And I will go back and watch it again, it is just fantastic. I wouldn't say so if I didn't think so. VERY VERY GOOD. THANK YOU Monte, Patrick and Lee. GREAT JOB. GREAT SERVICE TO THE COMMUNITY. THANKS. Hey Celso! Good times in the Bahamas...glad you are finding this info useful even after taking Monte's class in person. 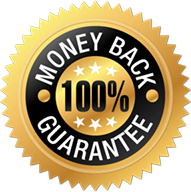 I have no doubt if you apply this info to your business, it will pay for itself time and time again. Hope all is well! I'd literally pay the fee just for the facebook group. The tutorial is a bonus ha! The Mike Kelly facebook group has been a huge resource for me. Purchasing this one for sure. facebook - that is one place I stay clear of! They may use our images at any time,............. check out the small print you agreed to when you signed up. Just don't post your images on FB then. Not sure why you'd completely stay clear of the number one platform in the entire world. I definitely think you have the technical skills down and you have a personal style. So yes, if you want to learn how to land bigger clients, you would be a good fit for this tutorial. Does anyone know out of the 14 hours of content, how many hours is the story time portion of this? Just curious if it's seven hours of story time vs. the other lessons. Thanks! Story time is about 3 hours I think but it's not just stories but also helpful tips on how to handle yourself in certain situations, big jobs, and overall inspiration. Just finished watching the videos. I've been focused in editorials more than anything else and I wasn't sure if this tutorial was for me. I started using Agency Access recently but I felt something else was missing. I'm astonished and thankful for the very informative content you all created here. It exceeded my expectations and I feel you answered all the questions I've always been asking myself. You went way beyond what I was expecting. (Thank you!) And great job again on providing amazing tutorials for us, I loved every one of the Architectural Photography Tutorials with Mike! That's very difficult for me to say because I've seen amazing work where no business aspirations were taking by the photographer and I've seen work I would consider crap only to learn the photographer is making bank. What I can tell is that you are moving in a good direction and clearly enjoy your craft. My suggestion would be to make a solid portfolio and pitch it to a bunch of brands you would like to work with and see what they suggest. This tutorial def covers a lot of the marketing and pitching your work to art buyers who need to buy creative vision and execution, so as long as you feel like you can give that to them, you should be able to find work. Thanks Patrick for the words if advice! Just purchased the tutorial today, so really exciting to check it out! Just finished the whole tutorial. WOW, it's worth every penny. Super informative, fun and well produced. I'll definitely watch it again and start taking notes, there's a LOT of information here. Every single advice is amazing, and interviews are pure gold. Awesome tutorial, best I've ever seen for sure! Wow thanks for the praise. If we somehow made talking about business "fun" then that is a home run for us. I remember talking with Monte about this idea initially and being really worried how boring this tutorial could be....luckily we came up with some interesting solutions to that problem. I'm 4 sessions in and just wanted to pop in and say this tutorial is worth way more than the price listed. Took a chance and I'm so grateful for the information already provided. I'm currently binge watching and will need to go back and actually take more notes Thanks for sharing!